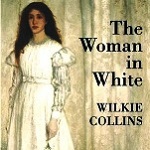 Wilkie Collins was born on this date in 1894. He wrote 30 “sensation novels,” the precursor to modern detective and suspense fiction, and his work famously highlighted social challenges of the time. Writing prompt: Write a scene revealing your protagonist’s response to a social issue that s/he believes too many people ignore.